The International Table Tennis Federation (ITTF) and the Swedish Table Tennis Association have agreed commercial terms for the upcoming Liebherr 2018 World Team Table Tennis Championships. ITTF President Thomas WEIKERT and Swedish Table Tennis Association President Petra SORLING were present for the signing for the biggest table tennis event on earth which will be held in Halmstad, Sweden between 29 April to 6 May 2018. 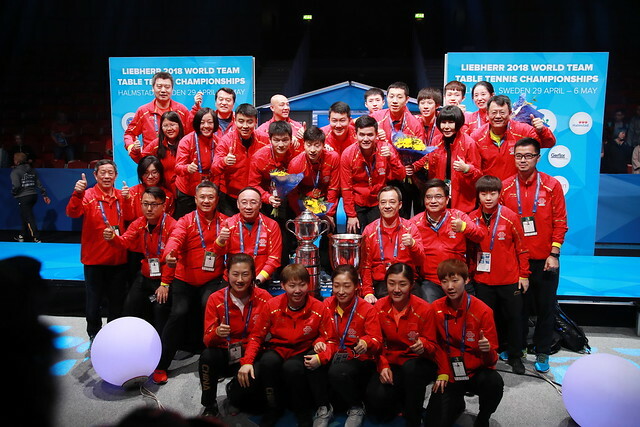 The Liebherr 2018 World Team Table Tennis Championships will welcome 72 men’s and 72 women’s team to the historic table tennis country of Sweden to fight to become World Champion.